Last year, I was very lucky to witness the Lionhead breed being officially recognized as the 48th ARBA Breed and during the same time, the Argente Brun passed one of its presentations. This year, we saw that the Argente Brun being passed and recognized as the 49th ARBA Breed. I have a liking for the rich chocolate color in rabbits and that is how the Argente Brun first caught my attention. The Argente Brun is a variation of the Champagne D’Argent and Creme D’Argent which have a very rich chocolate undercoat. Another wonderful thing is that, I have known Charmaine a few years now and she is the COD (Certificate of Development) holder for the Argente Brun breed. Charmaine is the person responsible of presenting the breed and getting it passed. I had the privilege to meet her in person last year and to see, touch and feel one of her Argente Brun rabbits were breathtaking. They are phenomenal and you can see how much effort has been put into the breed. 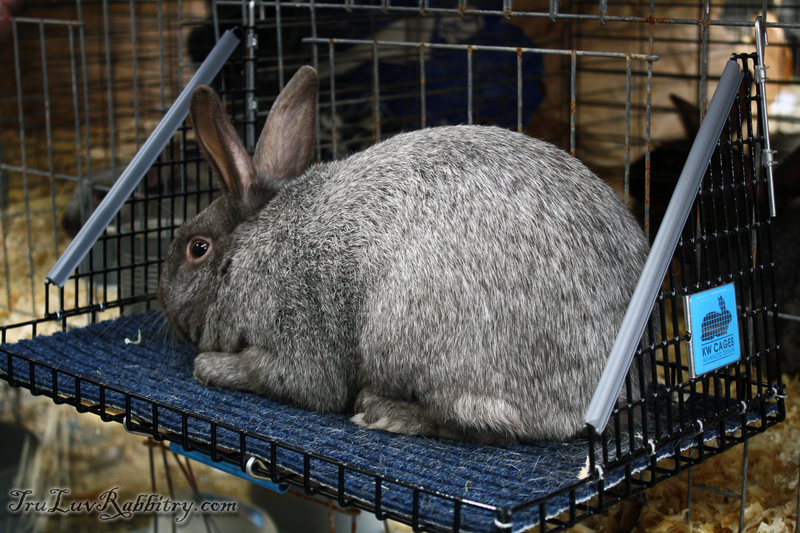 One of Charmaine’s beautiful Argente Brun rabbits at the presentation last year. Congratulations to Charmaine for her success!